Barry Goldberg is the senior partner in the Chicago law firm of Goldberg & Goldberg. Mr. Goldberg has concentrated his practices of over forty years in the area of medical malpractice with a special interest in litigation concerning catastrophically brain injured children and obstetrical malpractice. Mr. Goldberg has tried to verdict or settled cases in 23 states and is licensed to practice law before the bars of the states of Illinois, New York, Florida, Colorado and California. 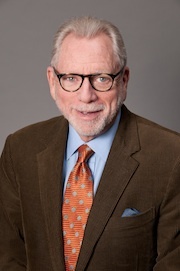 Mr. Goldberg is a former full professor at John Marshall Law School in Chicago and has instructed law students at IIT-Chicago Kent College of Law where he taught in the areas of medical malpractice and products liability. Mr. Goldberg has published over 40 articles in his area of practice and related fields as well as numerous book chapters pertaining to medical malpractice. Mr. Goldberg has lectured extensively nationwide on his areas of professional interest. To date, Mr. Goldberg and his firm, have obtained over 135 separate verdicts or settlements in excess of $1 million with an aggregate total in excess of $750 million. He also holds one of the largest drug products liability verdicts in America, an award in excess of $127 million.